The expertise of photographic techniques and the appreciation of the art of photography are essential to DARKROOM. Together with our partners, we provide custom made printing and framing in an artisanal tradition. We are at your disposal to provide any information you may require regarding the various formats of prints, framing, prices and your order’s processing time. All photographs featured on our site are signed and numbered by the artist; the prints being limited to a maximum of 30 copies, including all sizes and mountings. The prints are produced by the photographers themselves or printed in a professional photo lab. The photographers choose printing materials that best suit their artistic feeling. Each photograph is numbered and signed by the photographer. The photographer's signature appears on the front or back of the work or a certificate of authenticity is applied to the back. All photographs featured on our site fall into the category of works of art for tax purposes. Fine Art pigment prints are of a very high quality and produced on art paper. Long-life pigment inks are printed in high definition on a neutral paper, usually made of 100% cotton. Printing photographs on Fine Art paper ensures that these works will retain their beauty for generations to come. All possible formats are not shown on this site. To request a specific format please do not hesitate to contact us. Gallery or Museum framing with a mat customized according to your choice of centering, color, core, and thickness in which the image is placed asymmetrically according to the rule of 3/8’s, well-known among photographic artists. Custom framing made from a wide choice of solid wood frames with a high quality, long-lasting finish; the finishing touch which adds dimension to the photograph……that you have created. For the exhibition of art photographs, laminating on Dibond ® aluminum sheets is the ideal method. The print is permanently adhered to the sheet which is the same size as the photograph. Dibond ® is a material that is both strong and lightweight, composed of a polyethylene core covered by two thin aluminum sheets. Special glue and bonding provide a long lasting impeccable finish. This finishing allows the photograph to be viewed without reflections caused by glass. It is valued for its simplicity and elegance. 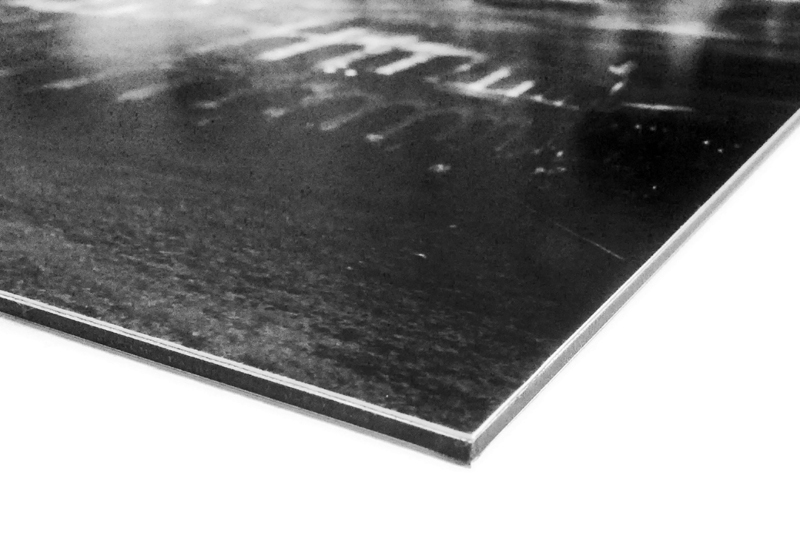 An adhesive patch is adhered to the back of the Dibond ® aluminium sheet. A wood frame is attached to the back of the photograph which provides both an excellent support as well as emphasising your work as the photograph is separated from the wall. Black aluminum frame with glass, 10 mm wide, pH neutral mat included. The mat provides a space between the photograph and the glass, thus insuring a better preservation of the work. 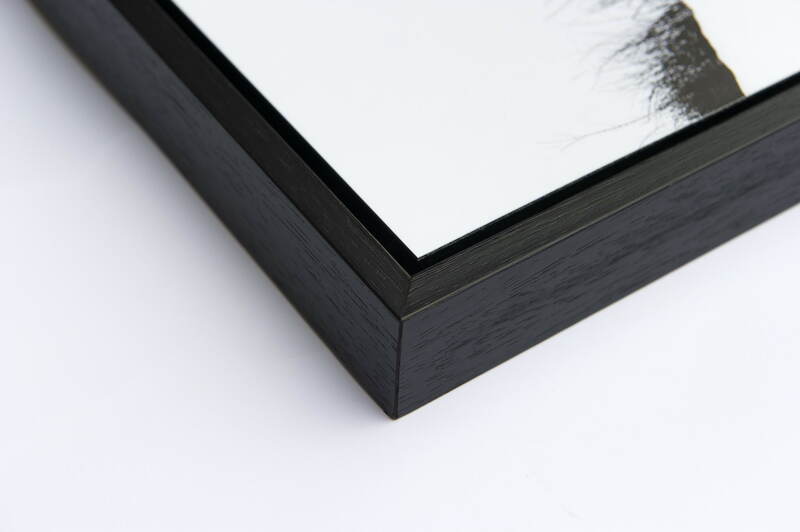 Black or white wood frame with glass, 15mm wide, 30 mm deep. The photograph is recessed in the frame giving your work a modern, elegant look. A high quality frame which showcases your Dibond ® aluminium sheet photographs and gives them a floating effect. The width of the frame is 10 mm. The space between the edge of the frame and the photograph is 25 mm. Floating frames have a depth of 30mm and make your photograph stand out with any reflections from glass. One or two hook supports (depending on the format) are attached to the back of the frame allowing you to hang the photograph. All of our floater frames are made in France. 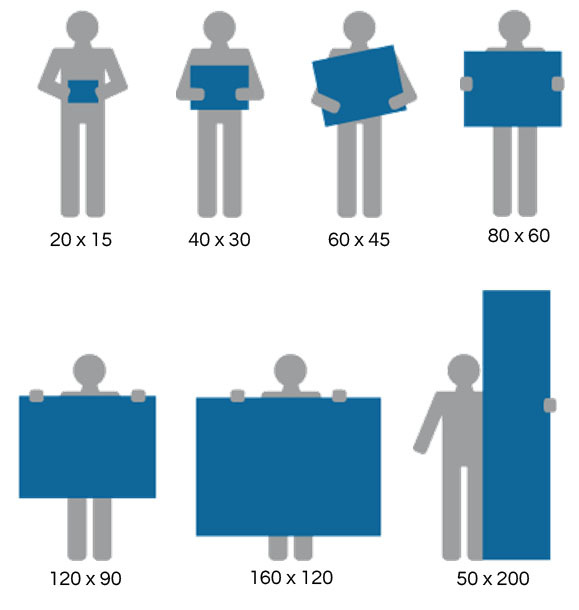 What is the actual size of my image?